A first of its kind barter terminal that will encompass a grain warehouse, bunkering area, customs, immigration and quarantine complex, along with a commercial centre is expected to be completed in three years with ground-breaking ceremonies to commence in July. The terminal will be developed on 46 acres in the Batu Sapi area of Sandakan, Sabah (East Malaysia). The area was chosen because of its strategic location near the Philippines, Indonesia and Papua New Guinea, where commodities and natural resources have been traded with the West for centuries. Among the goods to be exchanged will be grains, timber, food products, livestock, palm oil, electrical products, beverages, tobacco, and chemicals. The terminal will cater to 90 vessels of 150 gross tonnage each, per day. Windsor Trade, a local company, will manage the bartering services without any financial assistance from the government. Running a trade exchange is a 24/7 effort. At every national convention trade exchange owners always talk and nod in agreement about the importance of educating their clients—making them aware of the many benefits of barter so they will be better traders. Then they return home, and once again are inundated with simply not enough time in the day to get everything done...let along time to research and then write and layout an eye-appealing, interesting, educational and powerful marketing newsletter. One which points out and reinforces the benefits of your valuable services—each and every month...on a consistent and on-going basis. As a trade exchange owner, you realize that having such a unique marketing tool to use for your existing members—as well as the hundreds of prospects in your marketplace—is really necessary in these competitive times. Yet who has the available time and ability to generate such a newsletter? What’s the answer...? The highly effective Competitive Edge newsletter. For almost two decades now, unfailingly, each and every month CE has been published for your use only. It’s the professionally written and designed, yet inexpensive answer for a busy, growing exchange like yours. Newspapers and metropolitan television are a tough sell in Australia, according to Darren Riley, international media director of Active International, which opened corporate-barter offices in Australia nine years ago. However media companies including Ten Network, Southern Cross Broadcasting, and Seven & Nine regional affiliates have begun to barter their ad inventory within the $20 million secondary advertising market. The company’s Australian offices are run by former advertising executives Gary Kearley, Graham Lawrence and Stephen Farr. In the past financial year Active traded around $20 million of advertising in Australia, compared with $25 million the previous year. About 75% of its trade credits are redeemed through advertising. Active expects to trade advertising worth more than $1 billion in the U.S. this year, ranking the company among the top 10 media agencies. The global corporate-barter company has offices in North America, Europe, Asia and Australia, and plans expansion into South America. For more information on Active International go to www.activeinternational.com. 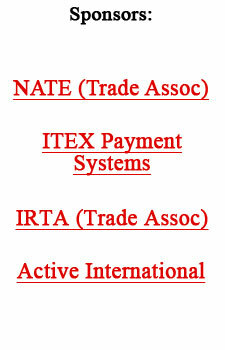 TeleTrade International (TTi) reports that the eValues.net system had a 60% transaction volume increase, year over year. First quarter trade volume was $11.4 versus $7.1 in 2004. Domains using TTi’s online systems, including www.thebanc.com and www.intercambialo.cc, saw $18.2 million total volume for the first quarter of 2005 versus $13.9 in 2004. Gary Lasater, CEO of TeleTrade International, says the larger volume can be attributed both to increases in affiliated exchanges and the easier listing accessibility for members. TTi also announced its swipe card/credit card program is in full swing in the U.S., and that the system will shortly be available to exchanges in Canada. The company has provided technology to the barter industry for 24 years and been online since 1999. For more information go to www.evalues.net. In the April 3 issue of the Los Angeles Times a story appeared that suggests many Californians are living on borrowed time. Succinctly, an incredible 47.8% of California home loans in 2004 were interest-only loans...no principal payment for three years. And to keep the payment as low as possible, the loans are adjustable-rate mortgages. The article contends that lenders in California have been opening the lending door wider and wider. In short, if you can fog a mirror you can get a home loan. Interest only loans offer the ability to defer for three, five or seven years any payment for the house itself. Thus allowing potential buyers to stretch their dollars, so as to afford a place that otherwise would be out of reach. The result is that prices keep rising...which in turn encourages even more buyers to apply for interest-only mortgages. Author and economist Robert J. Shiller in his book Irrational Exuberance, predicted the collapse of the stock market in the spring of 2000. In his newly revised second edition Shiller covers today’s housing market, which he thinks bears striking similarities to the stock market bubble of the late 1990s. An interesting question some ask is: Why hasn’t Warren Buffett, who is sitting on $43 billion of cash (which he admits is earning paltry returns), jumped into real estate? He could do so in a variety of ways. Tim Evans, a 45-year old senior analyst at IFR Energy Services (a division of Thomas Financial) in New York, believes oil prices could plummet to $28 a barrel as early as this summer. Evans, who earned his bachelor’s degree in mineral economics from Pennsylvania State University, says today’s crude oil prices of above $50 a barrel reflect nothing more than a market bubble fed by speculation and unwarranted fear. Veteran oil market analyst Peter Beutel of Cameron Hanover says Evans’ outlook is not as crazy as his willingness to publicly stick out his neck—picking both a price and a time. When pressed to do the same, Beutel envisioned $28 a barrel, too, in 2008. GE Capital Aviation Services had 1,342 aircraft at the end of last year, representing the world’s largest fleet of leased commercial planes. One of the country’s most influential foreign affairs writers, New York Times columnist Thomas L. Friedman, argues in his new book The World Is Flat that globalization is the most influential trend of the times. With a focus on India and China, Friedman details the changes that globalization has brought to their societies as well as to America.